The middle of the scorching summer months are probably the time of year that you least want to have to deal with air conditioning issues, but unfortunately, that is the most likely time for them to occur. The constant strain your air conditioning system gets put through during the hot spring and summer months means that your system can develop problems at just about any time, and when it happens, it can be a massive headache for you and your family to deal with. Here at Mobley Heating & Air, our team of local air conditioning and heating experts understand very well how miserable things can be when you are forced to go without a working air conditioning system in your home, and it isn't something we would wish on anyone. Air conditioning issues don't always spring up during normal business hours, and just because your system went out on Friday night, we don't believe that you should have to wait until Monday morning for service. To make sure you get the service you need to restore comfort to your home right when you need it, we have a full line of emergency ac services available for your convenience. Anytime your home's air conditioning system breaks down unexpectedly, it can be a great comfort knowing that you have the name of a professional you can call to get the issue resolved quickly and effectively, keeping you and your family from roasting inside your own home. Here at Mobley Heating & Air, our emergency air conditioning repair professionals are all fully licensed, trained, and experienced in the field, giving you peace of mind knowing that any issues with your system will be quickly and accurately identified and resolved in a timely and efficient manner. If you have any questions about our full line of emergency air conditioning services, or if you would like to schedule an appointment for service with one of our specialists, give us a call today. 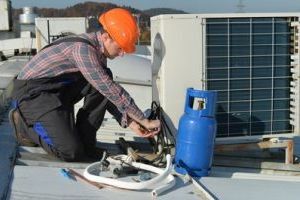 Our air conditioning company is always standing by and we would be more than happy to assist you in any way we can. Every minute you are stuck without a working air conditioning system in your home can feel like an eternity during the hot spring or summer months of the year. You want to be sure that the service you are getting is going to be able to quickly and accurately diagnose the issues with your system, and enact the repairs you need to restore your home to comfort as quickly as possible while still ensuring that the work is done right. Here at Mobley Heating & Air, our team of highly trained and experienced air conditioning and heating experts are second to none when it comes to skill, and just because your job needs to be performed quickly, doesn't mean that we are going to sacrifice on the quality of work that we put into getting your system back up and running like it should be. 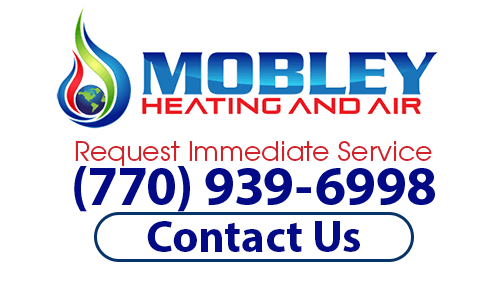 If you are looking for emergency air conditioning services, then please call Mobley Heating And Air at (770) 939-6998 or complete our online request form.